Let me just start by saying: due dates are total BS. If you already tried out another due date calculator, there’s a good chance it was wrong. The date your doctor gave you? Wrong. We built a better due date calculator! Ours includes a few more data points so you can more accurately calculate due date… or at least figure out which side of your due date you might lean! And voila! Your new due date(ish)! How early/late were you born? How early/late was dad born? Note: If you’re thinking “🤨 mine didn’t change that much”, read why here. This due date calculator does not include risk factors for preterm birth or a history of preterm birth (hence only included -5 weeks to +3 weeks in the calculator—we gave a little extra wiggle room because, if you’re like me, your parents probably had an even rougher estimation of their due date). Factoring in variables that are linked to preterm birth risk can skew due date data in a way that doesn’t make a whole lot of sense for most women. So we purposefully left them out. BUT, if you are curious about your preterm birth risk, we have you covered. Check out our Birth Prediction Tool. Pretty standard stuff. Most due date calculators (including your doctor’s first due date calculator) will use this as a proxy for when you released the egg from your ovary and it started its little journey towards conception and baby. This doesn’t tell the whole story, of course, and there’s a good chance that your doctor will adjust your due date once baby has their first anatomy scan. The adjustment will be based on how big or small your growing baby is. Even if you know the exact date of conception (beyond the silly period proxy) and you have general idea for how big/little baby is at a certain point, here’s another wrench to throw in the works… Not all babies grow at the same rate! I know, that blew my mind too! This range in growth rates across our silly species means that the natural variation for a “true” due date is up to 5 weeks. To try to get around the growth rate conundrum, you’ll have to consider whether or not you and the genetic dad were fast babies or slow babies. This will give you some clues as to whether your baby will be ready to join the world on the early side or late side of your due date. How many weeks before your due date were you born? How many weeks before his due date was sperm dad born? Now to further complicate things, your body size (assuming you = baby carrier) also has a lot to do with baby ejection date. 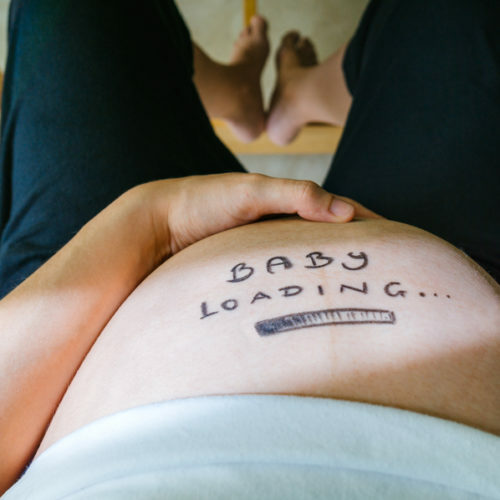 It’s not just fast vs. slow babies but also how much room does baby have left towards the end of pregnancy—there is some evidence that babies trigger labor when they feel too crunched. To compensate for this, we gave mom’s genes a little more weight in the equation. For those of you still hanging out for further explanation. The data in our better due date calculator uses insight from on a 2006 study. In that study, researchers looked at how mom and dad affect length of the pregnancy—the date at which baby naturally exits mom’s body. The researchers combed the Medical Birth Registry in Norway to gather birth data for two generations and from this massive data set, they found that several aspects of delivery date correlated with heritable traits from both the mother and the father. For fathers, if dad was born at a higher birth weight, this correlated with a decreased gestation length for his baby. The authors suggest that fathers may pass down their fast growing baby genes and thus influence the timing of birth. Even though this observation didn’t hold true for moms, both parents showed a positive correlation between their birth weight and baby’s birth weight and the gestation length for both mothers and fathers correlated with the gestation length of their babies. 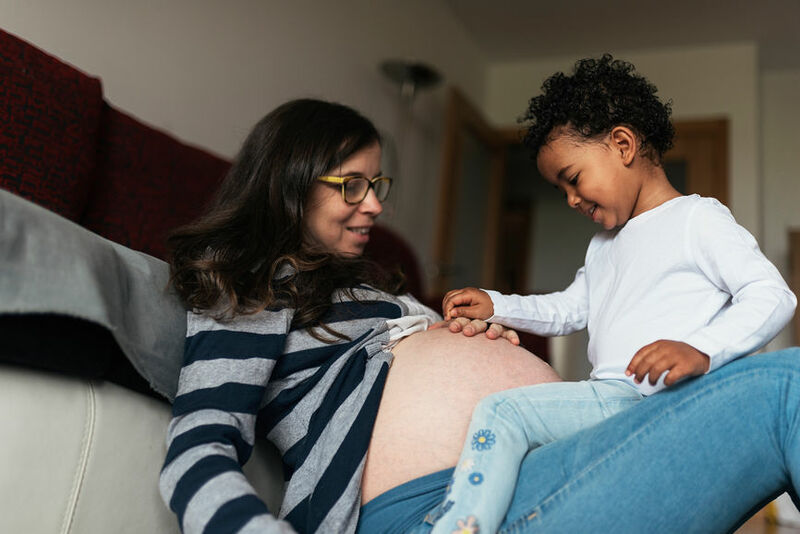 Since the connection between mom’s gestation length and her baby’s was twice as strong than for dads, mom’s genes appear to have twice the influence over birth weight and gestation length than the father’s. This uneven influence from the maternal side suggests that the delivery decision is split between the baby’s input and the baby maker’s input. Here is their logic – the baby is half dad genes, half mom genes. If only the baby set the date, that baby would follow exactly in the parents footsteps with no maternal leaning. But this is not the case, the maternal side is more predictive of the outcome (nearly two-fold), therefore, there must be some additional input from the maternal side. And similar to what was suggested by the other research team, this could have to do with the inner workings of the maternal body as it carries and grows a tiny human. Why didn’t my due date change that much? Now the bummer of it all is that, even with all these data, you may notice only a very tiny shift in your estimated due date. The study that was used for the math (see above) found that an extra week in parental time is not equivalent to an extra week in baby time. Instead, one extra week for mom’s gestation length = 1.22 days. One extra week for dad’s gestation length = 0.58 days. So, you might see a bigger change if you and sperm dad were both super late or super early. 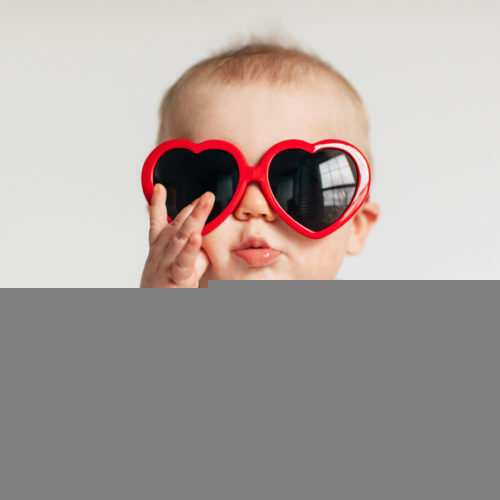 But, if you were both right on time, chances are you’ll have a punctual baby too. Of course, keep in mind that this study looked at Norwegians and, therefore, does not necessarily represent what is happening in your body (assuming you are not Norwegian). Other aspects of your health, age and pregnancy history can affect when you will deliver your baby (especially if you are at risk for preterm birth) so if you’re curious about your likelihood of delivering on any given week of your pregnancy, check out our Birth Prediction Tool HERE. 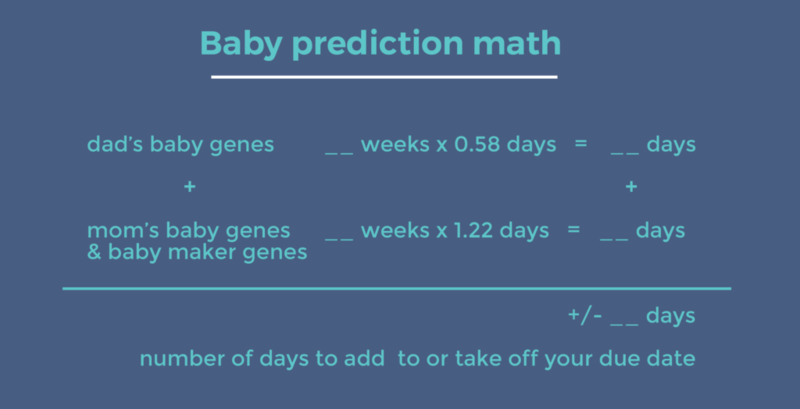 Even if due dates are kind of BS no matter how you cut ‘em, the date from our better due date calculator should at least give you some idea of whether to expect baby a little bit early or a little bit late. Now you just have to try to fend off the nosy and start to reference your due month. Jukic AM, Baird DD, Weinberg CR, McConnaughey DR, Wilcox AJ. Length of human pregnancy and contributors to its natural variation. Hum Reprod. 2013;28: 2848–2855. Lie RT, Wilcox AJ, Skjaerven R. Maternal and paternal influences on length of pregnancy. Obstet Gynecol. 2006;107: 880–885. 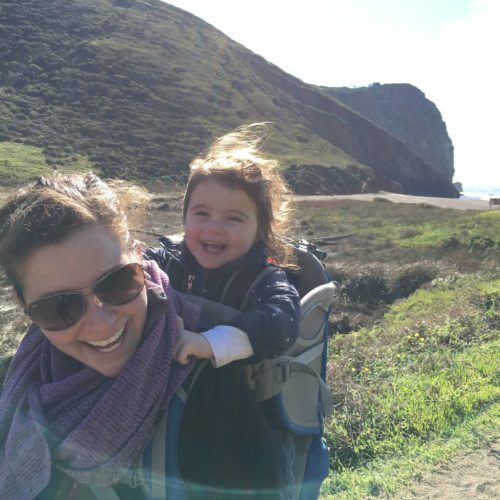 Molly has her PhD in Physiology and spent over a decade as an academic research scientist slightly obsessed with the colliding worlds of brain science, hormones, stress and the reproductive system. Nowadays she heads up Content and Community at Bloomlife and edits Preg U. Science is still her jam and she can't help but continue to dive into the research world to find interesting bits about pregnancy and parenting. Your Due Date Is Wrong.